Mine reclamation is the process of restoring mined land to its natural, or an economically usable, state. PrecisionHawk wanted to know how drones could be used to make this process more efficient, specifically, if drone measurements could be as accurate as traditional, ground-based techniques. Primary objectives were to (a) collect high-quality LiDAR scans of several locations at a reclamation site, (b) develop a method to measure tree location and growth within both reclaimed and natural areas of the site, and (c) generate volumetric stock assessments of three stockpile areas using UAS generated 3D data products. The project took place over a 2-year period. 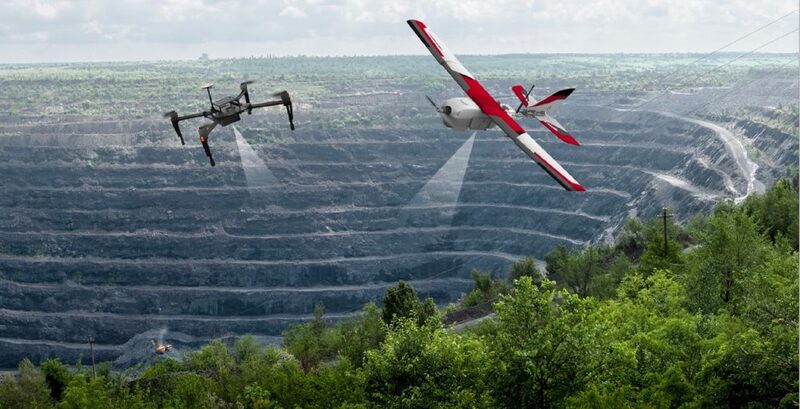 In the first year, both the Lancaster fixed-wing drone and the DJI multi-rotor drone were used to collect and measure data in a mine reclamation site. In the second year, PrecisionHawk focused on improving positional accuracy of the drones to be on-par with ground-based monitoring techniques.